Do you like insects that crawl and fly? 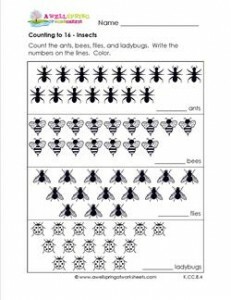 Well here are a handful of them all on this counting to 16 worksheet. Count the ants, bees, flies, and ladybugs. Write the numbers on the lines.